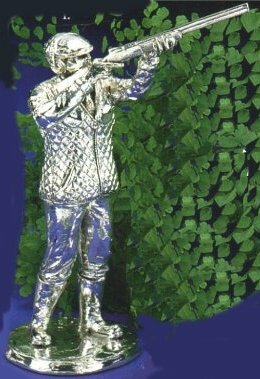 Hallmarked Silver filled leaping trout. Size from top to bottom 260mm. 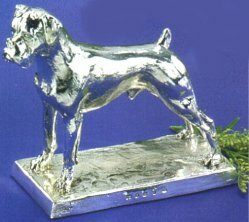 Hallmarked Silver Filled Boxer Dog. Labrador and Duck head and shoulders mounted on wooden plinth. 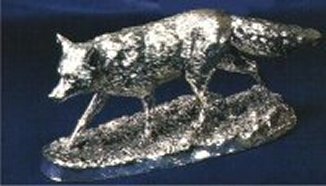 Hallmarked Sterling Silver resin filled Greyhound head, immaculately detailed. 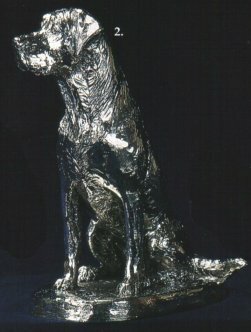 Hallmarked Sterling Silver Labrador in sitting position. 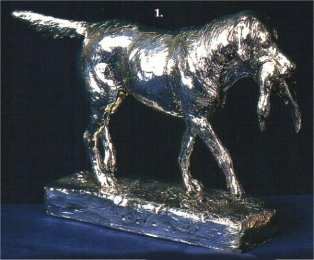 Hallmarked Sterling Silver Filled Labrador in the Pointing position.